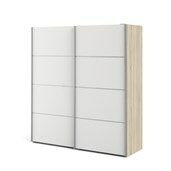 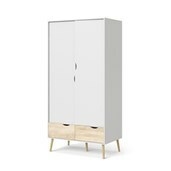 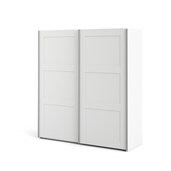 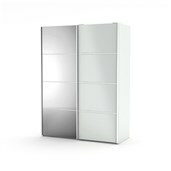 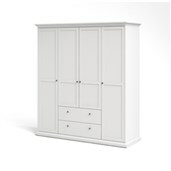 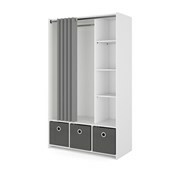 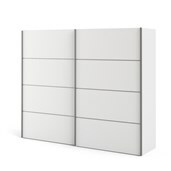 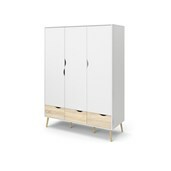 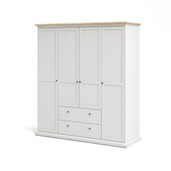 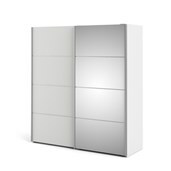 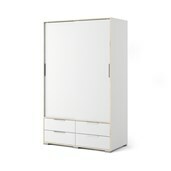 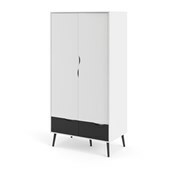 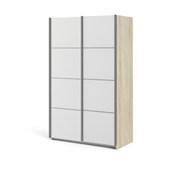 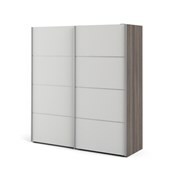 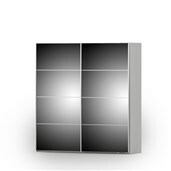 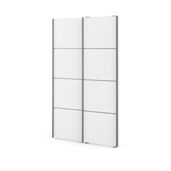 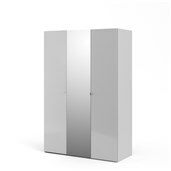 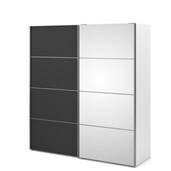 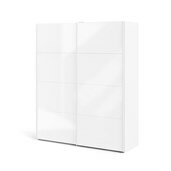 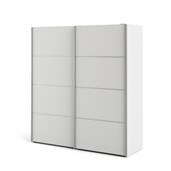 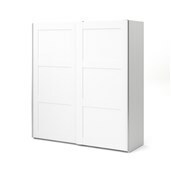 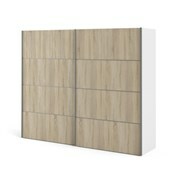 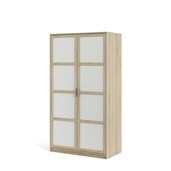 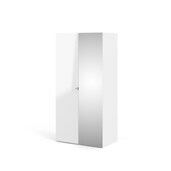 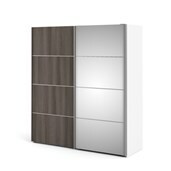 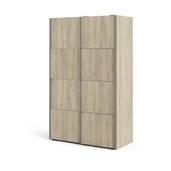 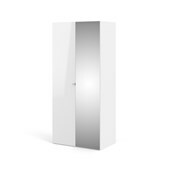 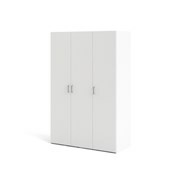 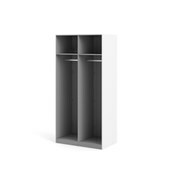 Keep from Tvilum is a collection of wardrobes with hinged doors. 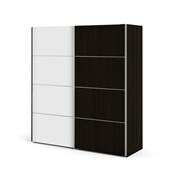 All doors have their own unique design and each will give your wardrobe a special look. 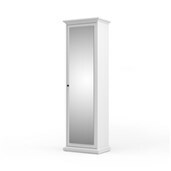 The door is also available in a mirror version. 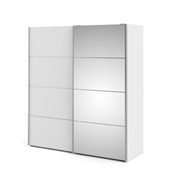 The cabinets have a pure white or natural oak grain exterior and a light grey interior, giving the collection an attractive, elegant look. 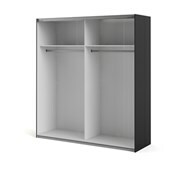 Keep has a 15 mm cabinet and thick 18 mm shelves. 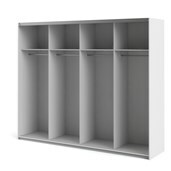 Each section comes with a top shelf and hanger rail. 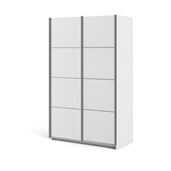 The Keep collection’s wardrobe is 2.00 m high and 60 cm deep. 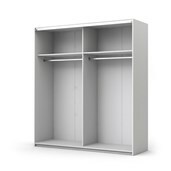 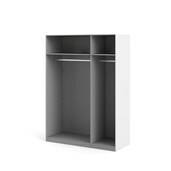 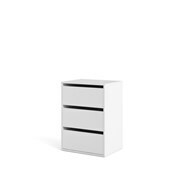 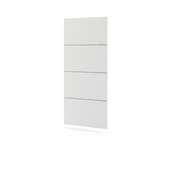 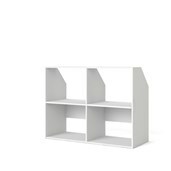 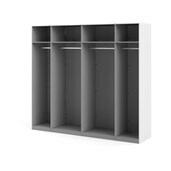 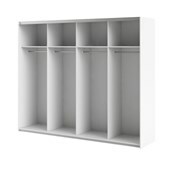 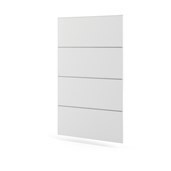 You can choose any cabinet width in intervals of 50 cm. 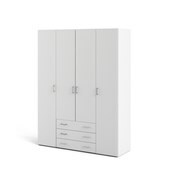 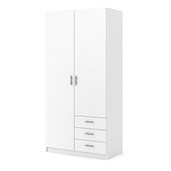 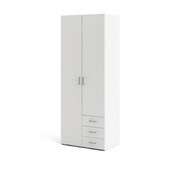 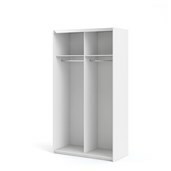 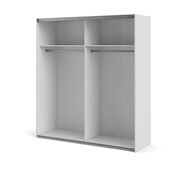 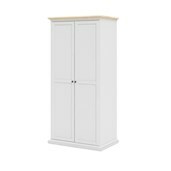 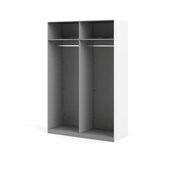 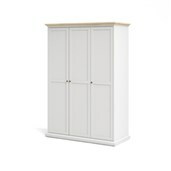 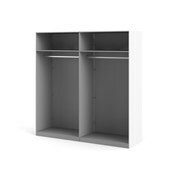 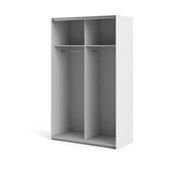 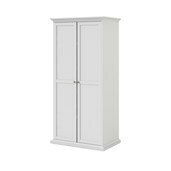 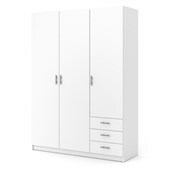 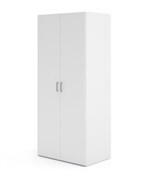 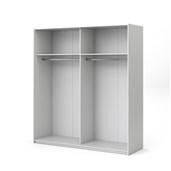 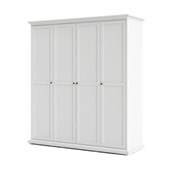 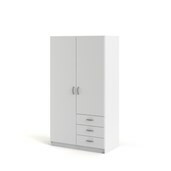 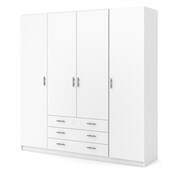 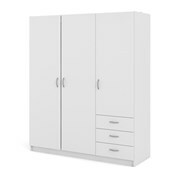 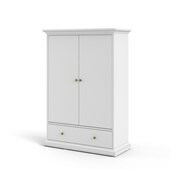 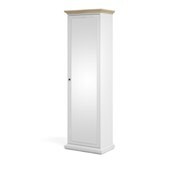 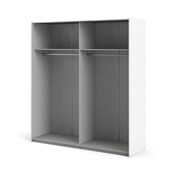 The smallest cabinet with hinged doors is 1 metre wide. 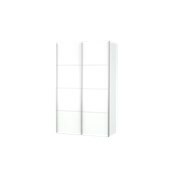 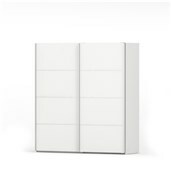 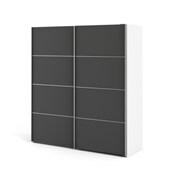 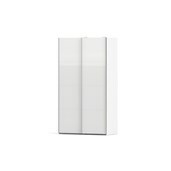 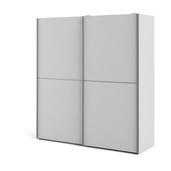 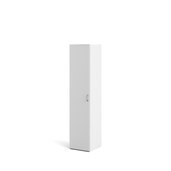 The Keep wardrobe is assembled using Tvilum’s patent-pending rear panel bracket, making it simple and easy to assemble, stabilise and attach to the wall. 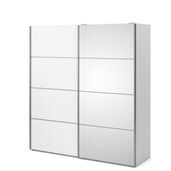 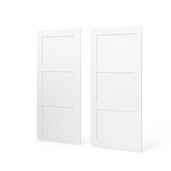 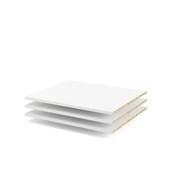 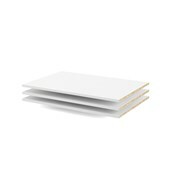 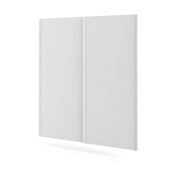 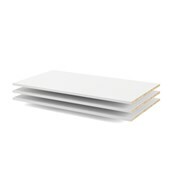 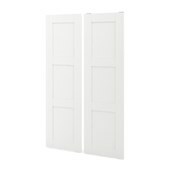 The hinged doors are mounted on secure, quality metal hinges. 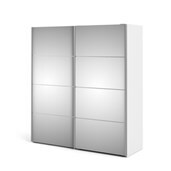 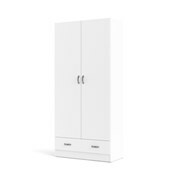 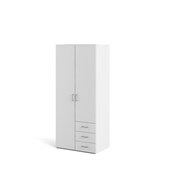 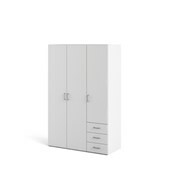 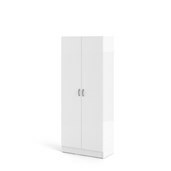 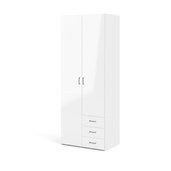 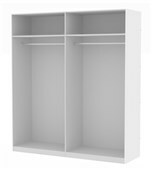 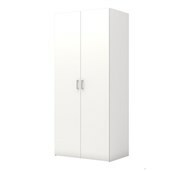 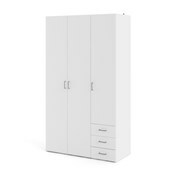 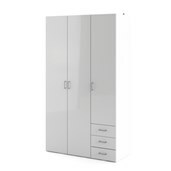 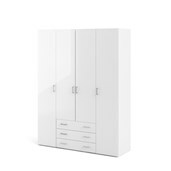 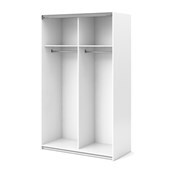 Various accessories are available for the Keep wardrobes, enabling you to customise them according to your needs and requirements. 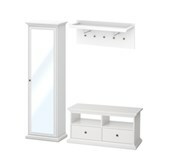 Available accessories include wire baskets, drawers, light fixtures and shelves. 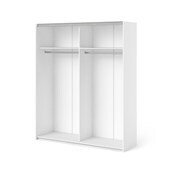 We also offer different handles, so that you can add the final visual touch to your wardrobe.